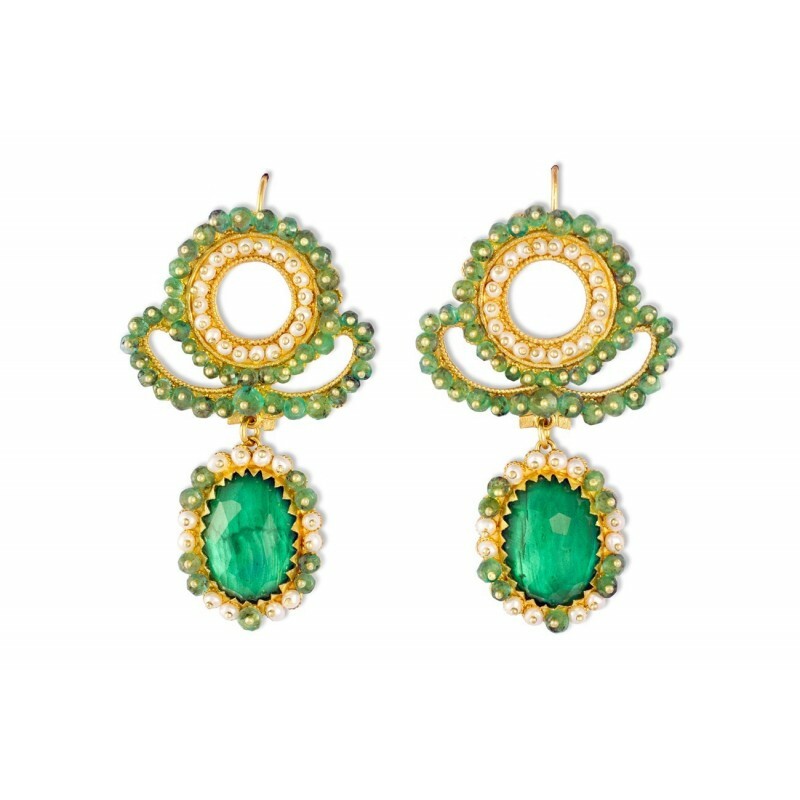 > 18K Gold filigree earrings "AURORA VERDE"
Jewel of refined beauty. The evocative and dreamy thoughts inspire this jewelry. Soft nuances and the stones evoke the light reflected on the water. 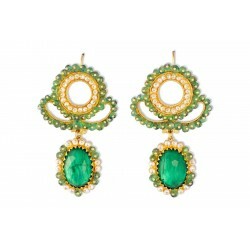 The technique of filigree used here is purely decorative where the fine filigree is soldered onto a gold plate. The Spinals are threaded individually to the plate and knotted by hand at the back to secure them.